﻿Richards & Son Agri Supply is an authorized Kill Brothers and Peck Manufacturing dealer. We can serve your farming needs when it comes to grain carts, seed tenders, and augers. We are also able to provide a wide variety of parts for your equipment servicing needs. Not only can we get parts for your Kill Brothers and Peck Manufacturing products, but others as well. We have several parts suppliers available to you and your farming operation. 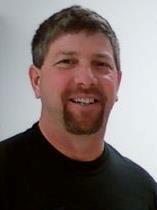 Contact Jim Ogg for ordering or any other questions about our equipment and parts sales.